Our first prize is from Close To My Heart Through the Year Calendar Kit from Close To My Heart is the perfect way to start the new year!!!!! This prize includes a calendar, date and sentiment stamps, stickers, gems and more! You will love it! Our second prize is from The Crafter’s Workshop The Crafter’s Workshop is the KING of stencils. So many designs in every theme you can imagine! The stencils are nice and thick making them easy to store and use over and over again with tons of different mediums! These stencils will last a lifetime! The third prize is from Avery Elle Check out these super cute stamps from Avery Elle. Avery Elle stamps create crisp and clean images right out of the package. They offer the latest in fun, fresh and modern designs. So much fun and so much inspiration for your next paper crafting project! I must admit, I may have a stencil problem too. Oh my goodness you guys! Such amazing gifts! Thanks again! I can not even choose a favorite sponsor! They’re all amazing! Happy Holidays! Only a few days left until Christmas! Getting closer to the big day! Woot woot! WOWSA ! What awesome prizes – thank you to your fabulous sponsors and to CSM for the chance to win! This is getting so exciting!!! Neat! I love Avery Elle! Great group of companies with some AWEsome prizes! So excited by today’s prizes! Again you’ve outdone yourselves! Nice packages again! The sidekick is wonderful! Thanks again for doing this. Day 10!! 2 more to go. What’ a great line up for today. Yay! Great prizes Creative Scrapbooker Magazine! Fingers crossed! Wow Wow Wow!!!! I’m excited! Another great giveaway! And i could totally use that Sizzix Sidekick…..accumulating diecuts, but i have no cutter! Lol. Ooo, I didn’t know you could die-cut with the Sidekick. That’s pretty cool. You have the BEST sponsors!! Just awesome prizes to be won! Thanks for the chance to win them! 4 more great sponsors! Thanks to CSM and all the wonderful sponsors! Love stencils & stamps oh my!! Thanks for the chance to win these amazing products!! A great day of awesome prizes! Thank you to everyone! Merry Christmas! Fabulous prizes! Thanks for the giveaway! Lovely people who work at Scrap Addicts. thank you for the generous giveaway. Happy Holidays! wonderful prizes! thanks for the great contest! Hi there. How do you gals keep doing this?! What an awesome prize package!! Only thing was I could not figure out how to comment on Scrap Addict’s page … kept scrolling, went to “posts” so instead, I sent them a message. Here’s hoping that works. Love me some CTMH!!! Heard from Scrap Addicts and figured out where to post on their page! Yay!!! Thanks again for this incredible 12 Days of Giving! You gals are AWESOME!!! Ho! Ho! Ho! you must feel like Santa giving away all these great gifts. Thank you! Wow! What an amazing set of prizes! CTMH is always one of my favorites! Done, I just have to say again, LOVE this contest, all the sponsors are so generous and it is so fun to see is sponsoring each day! Thank you so much for hosting . Another day of great giveaways. Thank you for a great week. Oh my, I missed day 9, cause I was enroute to Amsterdam, but I’m back!! Fantastic prizes for all these days. Thank you for sharing! Wow,! amazing prizes, those stencils are a must have! Thanks for the chance to win! Day 10 done thanks a lot!! Day 10 done thanks so much!! Merry Christmas 🎄 and Happy Holidays! These giveaways make me want to go shopping! I don’t know why but the Scrap Addicts doesn’t work:(:(:( …can somebody send me a link? Thank you!! What a great collection of prizes! Thanks for the chance to maybe win. I would love the stamps—I don’t actually have these ones. The stencils would come in very handy because I like to make cool backgrounds. Wow..so many products – so little time! Thanks for the chance to make them mine! Thank you for another great prize package! Another day for great prizes. Thank you. You people are amazing! This is a fun contest and the prizes are fabulous. Thank you and Seasons Greetings to you all! Good grief! How do you do it day after day? Four such fantastic prizes today! Thank you so much for all the hard work and generosity! Todays prizes are unbelievable! A very fabulous contest. Thank you so much for the chance to win these great items! Merry Christmas to you all! WOW what a great drawing you are having. Thank you for the chance to win something. All your sponsors are great and so nice to see Scrap Addicts as a sponsor – did you know they are moving to a bigger and better space?! Wow! I love all of these prizes! It just gets better each day. Merry Christmas and good luck to everyone! Would be sooooo excited to win any of these great giveaways! Thanks to all the generous sponsors and CSM! Wow! Today’s prizes are AMAZING!! Loving the CTMH set, the stencils, and the Avery Elle stamps!! All of them would be a welcome addition to my stash! Thanks for the chance to win!! The variety of prizes is astounding! What generous prizes! Good luck to all. Such generous sponsors and so many prizes each day. Having fun playing along. Thank you and Happy Holidays CSM! LOVE LOVE LOVE this giveaway!!!! My favorite brands!!! Love the looks of the sidekick. Thanks for organizing this 12 day giving event to showcase quality products, appreciated. Wow day 10 and more great prizes! Thanks. Thanks again for more great prizes! I am always amazed by the variety and fun factor of your prizes! Such great prizes this year! Can’t wait for the winners list!!! Another day of fun prizes, Merry Christmas. Another great prize package thanks so much! These are just amazing prizes! Thank you for the opportunity to win! So enjoying learning more each day! This the season for amazing prizes. Today’s are some of the best! Thank you for the opportunity and thank you to the sponsors. So excited for any of these prizes!!!!!! What a great group of prizes! Every year for the past 8 years I have made and given scrapbooked calendars for Christmas. The Close to My Heart package would get 2018 off to a spectacular start! Creative Scrapbooker Magazine is awesome! Thank you!! What an amazingly generous selection of sponsors you have for this 12 Days of Giving! It is a testament to their confidence in and respect for Creative Scrapbooker Magazine and your impact on all those you touch with your gifts of teaching & informing us all on how important it is to document every single life! So much fun in today’s giveaway! Merry Christmas! I can hardly wait until the prize winners are revealed. So many great things that would be wonderful to add to my collection. OMG…love it all!! Thank you so very much for the chance !!! Got my morning fix checking out what other great prizes have been sponsored. Thank you CSM and sponsors for this great opportunity. LOVE LOVE LOVE me some Close to My Heart. I have never done one of their calendars, this would be a great time to start. Did someone say mini die cutting machine??!!! yes please. So cute and compact to take to crops and share with my scrappy friends. Thank you for more great prizes and the chance to win. Thanks to CSM and all your amazing sponsors! These prize packages are awesome! Thanks for the chance to win, and Merry Christmas to all. All these giveaways must make you tired. I hope you get a terrific break when you are done. Thank you for your hard work. I love CSM. I love all of these prizes! I love that little Sidekick! Great for crops! Such awesome products! Would be so thrilled to win! So many incredible prizes this year. Awesome!!!! I love utensils, paper, die cut machines and stamps. What fantastic sponsors!!!! Have a great Holiday Season! 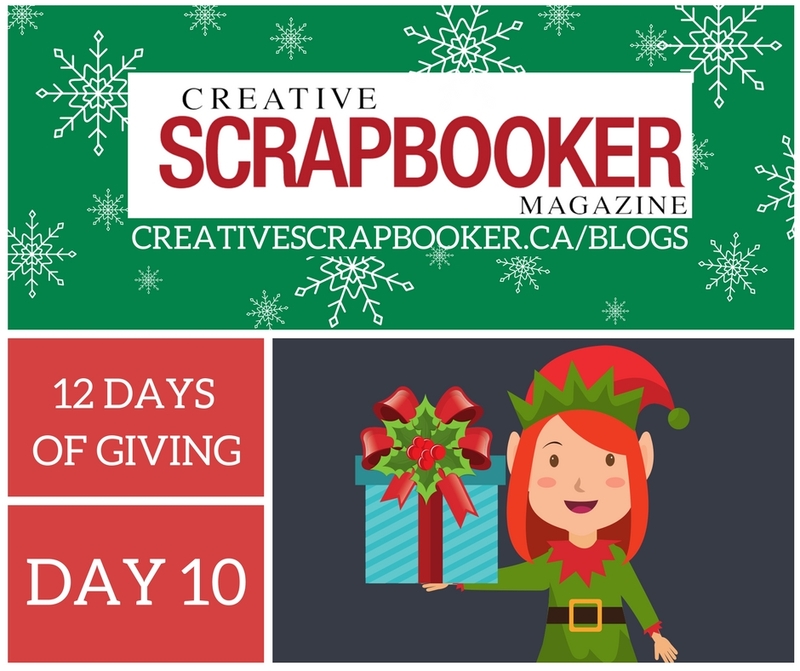 Day 10….thanks for such an amazing opportunity to win some great prizes! Every prize in this contest is amazing!! Thanks CSM and sponsors!! Love seeing all these generous sponsors – Sure helps me find new companies I wasnt familiar with. Today, I discovered Scrap Addicts, thanks to this giveaway! Thank you so much, to all of you, for your generosity this holiday season! Day 10! This has gone quickly. Christmas is almost here. Hope you are prepared. Thanks for making this year really exciting! Love my Sizzix – this model looks great! Wow! Such awesome prizes on offer today. Thanks to the sponsors for their generosity. What great prizes. I love the stencils. Happy holidays and wonderful giveaways! Amazing prizes, one of my favourite Abery Elle, can’t wait to see the winners. Thanks! Oh my gosh, what a beautiful selection of prizes to be won today! Thanks to all of you who donated such wonderful collections and a Merry Christmas to all! Feeling like a kid again waiting for Christmas Eve! Thanks so much for the chance to win these amazing prizes. Love the prizes today. Merry Christmas. Wow the prizes are just awesome ! Thanks for the chance to win! Oh my! Oh my! My head is spinning. I could not choose which giveaway I would want if you told me to just go ahead and take one. Good thing you are doing a random draw…. This is certainly the season of giving! I love all the prizes, thank-you. Day 10 already! Two more days until I WIN something!!! Wow, the awesome prizes keep coming! Thank you to all these generous sponsors. More great sponsors and prizes!! The products every day are just amazing. So many different product lines. So so thankful for all the gifts. Love CS and the sponsors. Thank you. I’m feeling all crafty just looking at all the sponsors’ Facebook pages. Thank you for hosting this giveaway. This is such a wonderful prize! I’m very excited. Day 10! So close! Thanks for another day of fabulous prizes! Love getting connected to new Facebook pages for inspiration! Thank you for more fun today with these amazing sponsors. I love seeing the products and tutorials. Love it when you feature a new sponsor I am not familiar with. Lots more temptation to add to my scrapbook stash. Thanks so much for the chance to win. Wonderful prizes from amazing companies! Thanks for the inspiration and for the opportunity to win! Thank you for the chance to win those wonderful prizes. Oh my goodness..such stencil lovelies!!!!! Thanks for a chance to win! This has been so fun checking the post and learning of all the different sponsors and their product Thanks so much. You guys are just over the top this year! Thanks again for the opportunity to win so many great prizes! Thanks so much for this contest!! I am having so much fun!! Merry Christmas! These prizes are truly amazing, Thank you CMS and Sponsors! LOVE CSM and all you do for your readers and fans. Thanx for your 12 days. I love those stencils and close to my heart products! I would be a happy camper if I won. Thank you for the opportunity to win. You have such amazng sponsors! Fingers crossed to win a prize this year! Oh my goodness, is there no end to the wonderful prizes? Thank you! Wow! Awesome prizes once again. 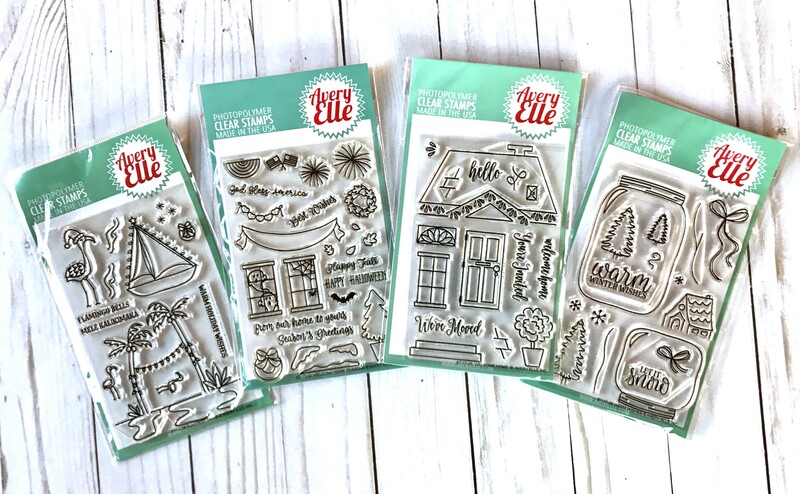 I love Close to my Heart products and I use stencils all the time and I don’t have any of these ones; such cute stamps from Avery Elle too and I could really use the T.H. Sidekick. Absolutely everything is a winner. Wow, I haven’t seen these products before, but they look so neat. Thanks for the opportunity to win and thanks to the sponsors. OMG WOW! I WANT them all!!! You are so great creatives scrapbookers ! No wonder I love my magazine membership! Thanks for the great contest. Many of these products are on my wish list. Thanks once again. What wonderful prizes. Merry Christmas!! Thank you to CSM and all the sponsors for the chance to win! Awesome pairing of sponsors today!!! Thank you for the chance to win…Merry Christmas! The prizes keep getting bigger! Thanks for the opportunity to win. More great sponsors, some are new to me. So many beautiful prizes over the past ten days. Thank you CS. Fabulous prizes once again. Thank you for the generosity!! It would be too hard to pick just one prize! What a fun idea, what great giveaways!!! I was so happy to discover your magazine at the scrapping expo, and promptly subscribed for two years. I love holding an actual scrapping magazine in my hands, and also love that some projects feature papers that I often have tucked away in my paper stash!!! Another day another great batch of prizes. Merry Christmas fellow crafters and thanks Creative Scrapbooking Magazine for a great contest !! Wonderful prize. Thanks for the chance to win! Well now, some old favorites and some new ones too. Thanks for introducing me to The Crafter’s Workshop and Scrap Addicts. The prizes today are amazing. I would love to win them and add them to my scrappy stash of products. Thanks CSM for another great day. Thank you for the wonderful prizes and the chance to win. Aww, my Big Shot would love a little Sidekick buddy – great prizes. Prizes just get better each day! Ohhh. A die cutter. I’ve been wanting one. Thanks for the chance. Merry Christmas. Haven’t heard of Scrap Addicts but am familiar with the others. OMG if you put all my favourite things together the prizes in today’s giveaway would be it!! Thanks for putting this together! Eek! Another fabulous day of prizes. Thanks CSM and sponsors! OMG! if you put all my favourite things together the prizes in today’s giveaway would be it! Thanks for putting this together! Thanks for another wonderful day of prizes and surprises! WOW! Awesome prizes again this year!!! Thank you!! WOW! More amazing prizes. Thank you! Wonderful prizes, would love to win any of them, the calendar, stencils, stamps or sidekick. Thanks so much for offering all the great products in your giveaway! Love your magazine too, can hardly wait for it to arrive in the mail every time. I thank you for a chance to win awesome goodies!!!! Merry Christmas!!!! Can’t believe all of these great prizes! Thanks so much for the chance to win. These prizes are just so amazing. Thanks for having this awesome party!!! Here’s to another day of wonderful sponsors and prizes. Thank you for making this holiday season such fun. Happy holidays! This is so FUN! Merry Christmas! Good night. Looking forward to tomorrow’s list of sponsors! The prizes just keep getting better! Thanks to all the sponsors! Thanks for the 12 Days of Giveaways! Such wonderful gifts. Thank you for the chance to win them. Fabulous products and generous giveaways. Thanks so much for the chance to win. I hope the links work today. These prizes all look amazing!!! Day 10 Mission Accomplished. Some pretty cool stuff today! Only 2 more days to go,. FIngers crossed. Love your 12 days comp. Merry Christmas! thank you very much to the sponsors and CSM for this great contest and these lovely giveaways. Merry Christmas to everyone!!! Wow! So much fun! Such amazing sponsors, and so incredibly generous of you. So wide-eyed with wonder right now. Scrapbook overload in progress. Love these awesome sponsors and their prizes. Wow a special day of giveaways. Count them 4 today and from some really nice companies. Again, thank you for the opportunity to win these great prizes! Another day of wonderful giveaways. Thanks for the chance to win! How is it possible I didn’t know you is beyond me. ..but now that I have found you I won’t miss a thing! Awesome prizes, btw…Santa should be very proud of you and your sponsors!!! Happy Holidays! WOW! I cannot believe we are at Day 10 already!! So many wonderful sponsors with such great prizes! May my stars align to be a winner here! Thanks for the chance to win, so fun exploring all the sponsors! MERRY CHRISTMAS TO ALL!! And “good luck”! Wow what a prize package! I love CTMH, and Avery Elle…and that little Sidekick would be the perfect thing to take to crops! Thanks for so many wonderful giveaway! I just wish I could take it all! These products are amazing! Thank you for your generosity! Thanks for the chance to win! Merry Christmas!!!!! Cant get enough stencils…or stamps…or die cutting machines……oh boy, this is great!!! Thanks for the chance to win and thanks to the great sponsors! Thank you for the wonderful give aways. Merry Christmas to all. Such wonderful prizes which I can use for all of my addictions! Scrapbooking, cardmarking, sign making and stencilling!! Oh the fun I could have.! Thank you for so much fun playing along!!! More fantastic prizes in the best giveaway ever!! What a fun mix of crafting supplies! Thanks for the great giveaway! Wow those are some really impressive prizes. Thank you so much for pulling this all together. Even at this busy time of the year it is fun to take the time to see what wonderful things you have gathered up for us to enjoy and to have a chance to win.. Thanks so much. Thanks so much and Merry Christmas. Thanks for the chance to win some great prizes. Merry Christmas and good luck to everyone! That calendar from CTMH is amazing and I love all the other prizes as well! Would be awesome to win today!!! Can’t wait to see what the next few days will bring! And your friends just keep giving! Last minute shopping and groceries to get but I have to say how much I enjoy every page I have visited. Many thanks. Awesome gifts. Would love to win one. Thank you. Another day of amazing sponsors and prizes! I love them all!! Love close to my heart products. Thanks for these 12 days of giving!! What wonderful goodies for the holiday season! Thanks to the generous elves who are sharing these awesome gifts! Wow! So exciting! All these wonderful prizes! You are so generous to us CSM! Such amazing prizes I love them all Thanks for the chance to win. Oooooh I need everything in this giveaway! It is like it was designed with me in mind! Lol thanks for the chance to win! WOW!!!! These prizes are amazing. Wow! Great prizes for card makers! Such great prizes from some super sponsors. Thank You for the chance to win! Ooh such good prizes to win!!! Thank you! What amazing prizes you guys are giving away thank you so much and happy holidays! These are wonderful and look so fun to work with. Merry Christmas!! I luv all the prizes! So fun to take part in all these giveaways! My goodness what great giveaways. Wow… how I would love to be the new owner of these. Thank you so much for a chance. Such great sponsors! Wow, again a great prize package. Thanks so much! Wow-wow fun to imagine winning it! Oh, my heart – so much goodness being offered up! Thanks for this fun Christmas contest! Thanks . another great day of sponsors. Thank you for the chance to win these great prizes. another amazing giveaway!! would love to win some stencils! Another day of wonderful prizes!! Can you just imagine the winner will be receiving any of these items in the mail???? Wow Day 10, it justs get better and better. Thank you for all the inspiration. It would be great to win anything because they are all great prizes. Such terrific prizes. Thank you! Wow! Great giveaway. Thanks to the sponsors and to CS for this contest appreciated by everyone! Another wonderful day of CSM fun and prizes, thank you! Wow! Great prizes! Thanks for the chance to win CSM! This is the best day yet! I absolutely love Scrap Addicts! They always have such a wide variety of scrapbooking goodies each year at the Great Canadian Scrapbook Fair! Christmas is getting close. I hope everyone is ready. 🙂 Looking forward to time in the new year to get back to card making and scrapbooking and using some of the ideas shown in your magazine, and the various facebook pages from all the sponsors. So much good ness, Every time I read ‘Scrapaddicts’, I laugh to myself, who knew when I discovered the magical world of scrapbooking I would appreciate that statement so fully! Already following all these amazing sponsors! Popped in to thank them all for sponsoring your giveaway, good luck to everyone! So much goodness in these prize packs! Oh My Gosh- Thank you soooo much for throwing the 12 Days of Giving Sweepstakes. Im entering every day hoping to win Anything since it would be the Biggest Xmas Miracle ever. I cant afford Craft supplies anymore due to medical expenses and Crafting is the Biggest thing I use for stress relief and pain management- and it actually works- except now Im stressed out cause I cant get supplies. So even just the opportunity to win something is Awesome. So Thank you and Merry Xmas. Would love to try out the new Sidekick! Lots of snow, good time to scrap. Eeeekkkkk so many amazing prizes!! !Merry Christmas!! Good luck to everyone. What a wonderful prize Scrap Addicts! This would make my Christmas!!!! Love Close to My Heart, The Crafter’s Workshop, Avery Elle, and Scrap Addicts! Thank you for participating in the giveaway! Lots of tags to be made with this group of products! Awesome! Thank you so much for the chance to win such awesome prizes! Oohh…. what wonderful prizes once again! I don’t want Xmas to come as it will mean an end to this 12 days event! 😛 Thank you so much! I love all the prizes for today!!! Happy Holidays! You’ve put together another fab group of sponsors and goodies!! What fun products to play with in the new year! More amazing prizes! Thank you CSM and your wonderful sponsors!!! Merry Christmas! Thanks so much for the prizes today! I have to admit that Throughout the Year and very Close To My Heart are Scrap Addicts that attend Crafters Workshops. Avery Elle was one girl that stuck out in my head. She would Stamp her feet with joy as learned to use stencils and stamps in new ways. She turned out to be the sidekick to the instructor. Oh, how I love crafting! I am familiar with Close to my Heart and love their products. The other items I don’t know about but would be so excited to use them. Thanks for the chance to win! Thanks again for the opportunity to win another awesome prize package! Merry Christmas and Thanks for so much fun and wishing here..
Another day of generous sponsors!! I love all of the prizes today!! Thanks again!! and Merry Christmas! Wow another happy bundle of loot to win!